The announcement of a meeting of knockout artists at Bellator London, Galore Bofando and Richard Kiely, was met by much enthusiasm last week, but the self proclaimed “Face of Bellator”, Kiely, is confident that he can manage to avoid the spectacular spinning techniques of Bofando when they clash on June 22. 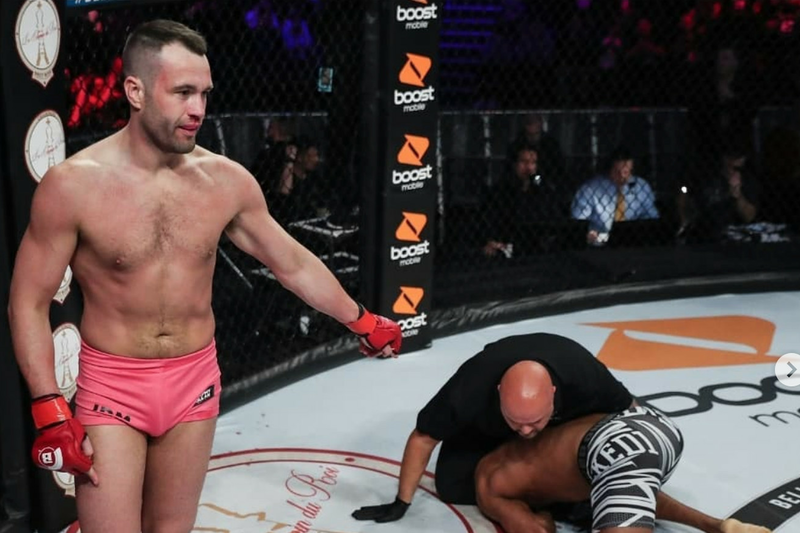 In appearance on Eurobash, Kiely heralded Bofando— who he referred to as “Galore Buffoon” throughout the interview—as “the second-best striker in Bellator”, but forecast that a knockout to “The Paranormal” would end their contest. Both decorated champions in their respective striking disciplines, Kiely noted how he believes that the spinning techniques of Bofando are only intimidating to fighters who have little experience in the striking arts. He insisted that Bofando would be punished if he attempts to land any acrobatic attacks on him. “Everyone he fights doesn’t have a handle on how he fights, but I do. He throws a lot of spinning sh*t, as Nate Diaz would say. It’s hit and hope, whereas mine are calculated; I set things up. If he throws any of that sh*t at me I’m going to punch him right through his chest. He’s going to know. Don’t be surprised if the exact same thing happens to him that happens to every single fighter; he’s going to feel the first jab and then suddenly this world class striker will turn into a grappler,” he explained. Most MMA observers will remember Bofando from his bizarre knockout of Kiely’s SBG stable mate Charlie Ward at UFC Glasgow. Kiely referred to Bofando’s sole UFC win as a “fluke” when the topic was broached. “It wasn’t a counter to a throw, it was a shrug off in panic. It just so happened to be a fluke that paid off for him. He went around claiming it like he’s some kind of grappler extraordinaire,” said Kiely. If all goes according to plan for Kiely, he expects to become a prominent fixture on Bellator’s American event. Check out the latest episode of Eurobash. The Richard Kiely interview begins at 1:02:00.